Place: Aga Khan Museum, 77 Wynford Dr. Enjoy performances featuring Nagata Shachu taiko drummers, DJ MelBoogie, Beny Esguerra and New Tradition, The Real Sun and Tiffany Gooch. This event includes FREE admission to the Aga Khan Museum’s exhibition Marvellous Creatures: Animals in Islamic Art. Official remarks commence at 4:30pm. 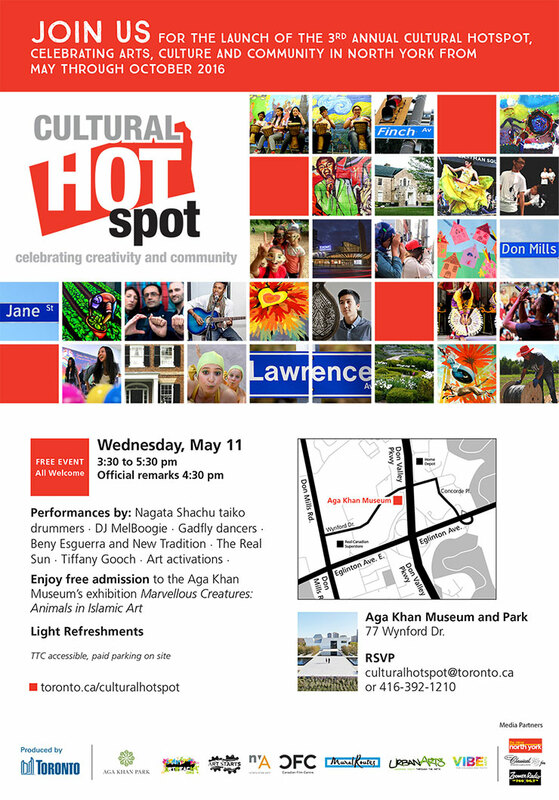 Please RSVP to culturalhotspot@toronto.ca or 416-392-1210.